Are you concerned about Superman's near omnipotent powers? Maybe it's about time that you gear up like Batman, get your hands on some Kryptonite and start some intense training! Although we have no idea where you can find some Kryptonite, we can help you get the Bruce Wayne's look with this Dawn of Justice Batman Costume. 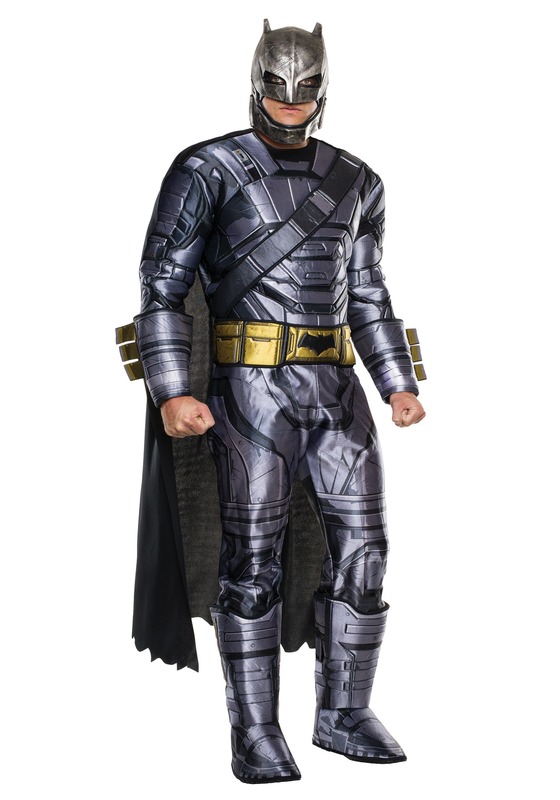 Based on Zack Snyder's Batman v Superman movie, this costume brings you armored detailing in a comfortable light-weight style that will keep you agile for any encounter against superheroes or villains alike. Of course, you're going to have to learn all those cool martial arts moves that he uses in the movie by yourself!